The VELUX duo blackout blind is a blackout blind and a pleated blind in one easy to use unit. It offers the best of both worlds: total blackout anytime or softly diffused natural light all day. It is available in all 24 blackout blind colours with a white, pleated blind. 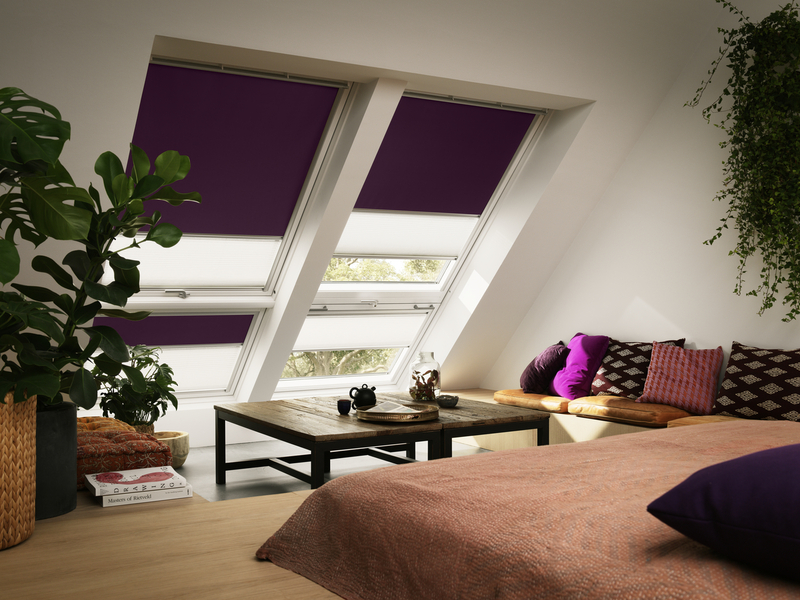 The blackout cloth on the VELUX duo blackout blind is available in 24 different colours. The pleated cloth is white. 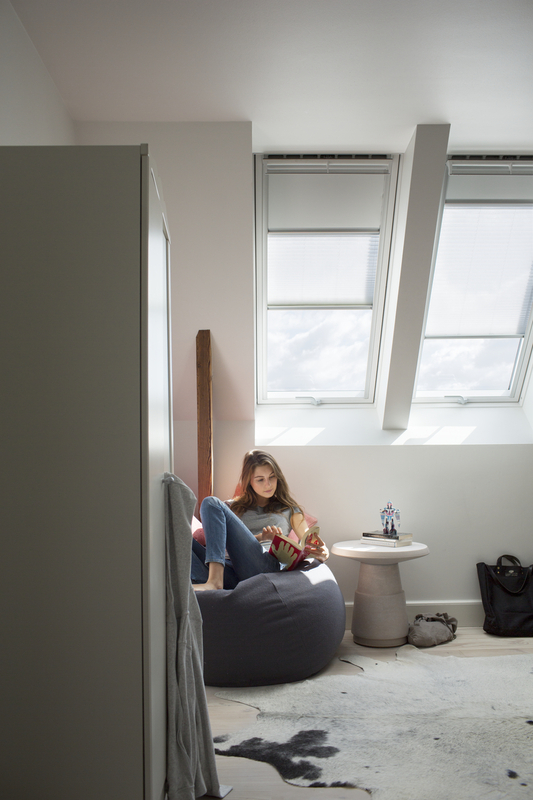 The VELUX duo blackout blind is attached to a top casing and runs in side rails that ensure smooth operation and stepless positioning in the window. The duo blackout blind has two control bars that can be adjusted independently – even though the two cloths are attached to one another: the first control bar is placed between the two cloths, the other at the bottom of the pleated cloth. This makes it easy to control how much of the incoming light to block out, how much to diffuse, and how much natural light to let into the room. Simply use the control bars to raise or lower as you please. 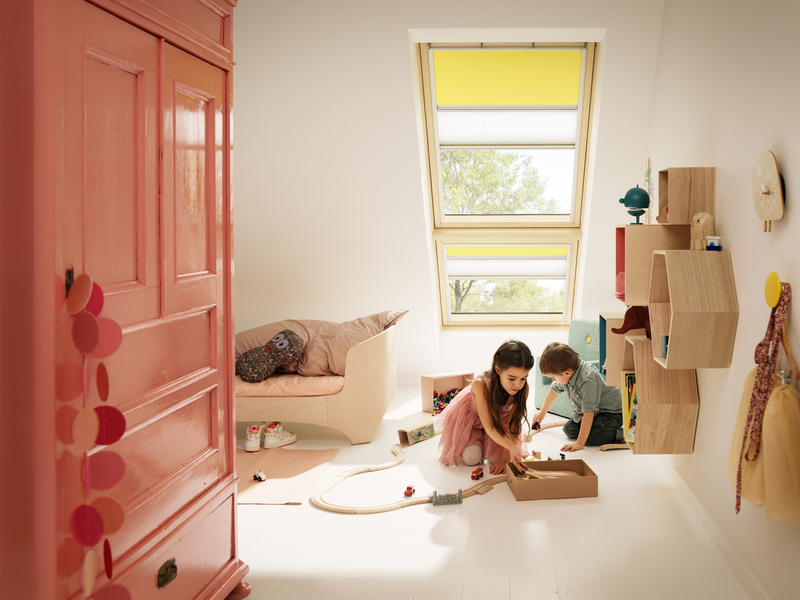 VELUX duo blackout blinds consist of a blackout blind and a pleated blind. The blackout blind is made of a dirt resistant OEKO-TEX® fabric consisting of three layers; the layer facing the room in polyester, a light-tight intermediate layer, and a special aluminium coated layer. The aluminium coating blocks out the light and improves insulation, i.e. reduces heat from the sun in the summer and retains heat in the winter. The pleated blind is made of a translucent polyester cloth. The cords are made of wear-resistant polyester. VELUX duo blackout blinds run in sleek side rails made of anodised aluminium that prevent light from passing in around the edges. The control bars are also made of anodised aluminium. 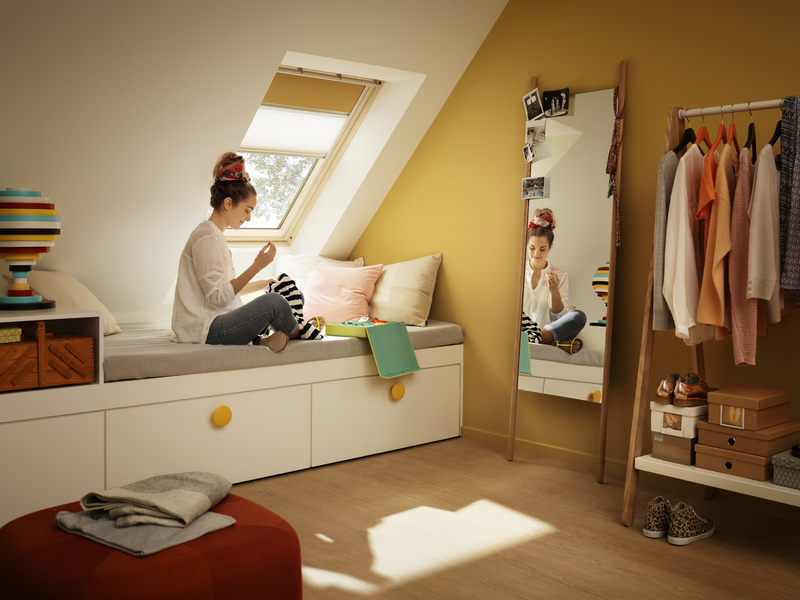 Combine the VELUX duo blackout blind with VELUX awning blinds and roller shutters for additional heat protection, and VELUX insect screens for an insect-free environment - even when your window is open.